I’m still beavering away here – writing, writing, writing. And listening often to an incredible Biber solo piece (THANK YOU KATE for sending it me!). Yesterday I went for a coffee with my beloved. 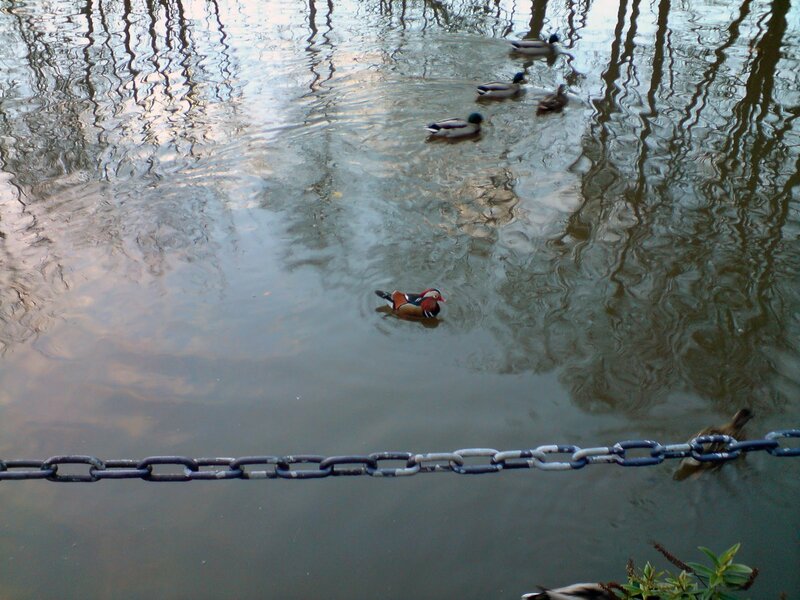 We went to a cafe by a canal and we saw something quite unexpected – a mandarin among some mallards. What brilliant colours! Gorgeous. It was nice to see that the mallards seemed to have adopted him as their own. You never know, they might have just fancied him. And of course, happy anniversary, Liz.